We’ve made it, everyone. Another glorious weekend is upon us and the skies are a brilliant blue. 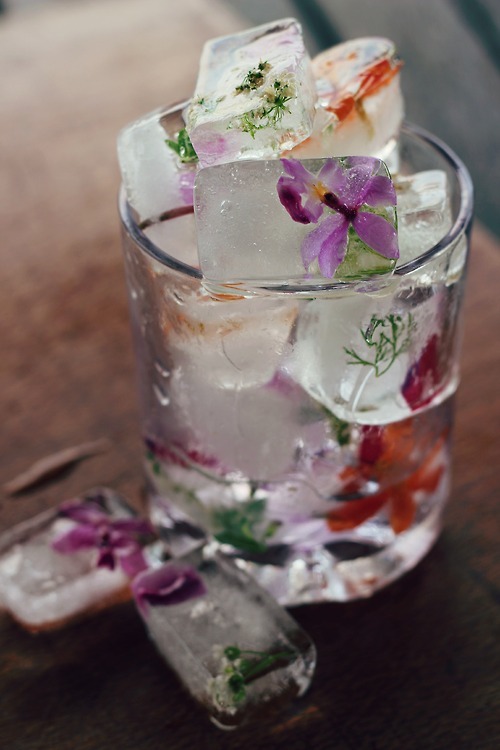 With this surge of warm weather all I can think about is a nice cold drink. Sure, in January it will be 100 degrees hotter and I will probably just melt slowly into the pavement, but right now all I’m craving is something crisp and refreshing. I put on my neon orange blazer to go along with it, you know, just for the spirit of things. What are you doing this weekend? Maybe we’ll cross paths as I wander through Chacarita with Foto-Ruta or at the Palais de Glace for Buenos Aires Photo (opens today). You’ll probably spot me, drink in hand … Bon weekend! For those of us that really love food, and not just in the gluttonous way of stuffing our faces into oblivion, but in the way that we truly think that what and how we eat can make a difference, it’s easy to admit that the winds of change have been blowing through Buenos Aires lately. Sure, there will probably never be a Whole Foods here, and we might never see the day of a sushi place without Philadelphia in each and every roll, but there is a growing movement that is raising awareness about the importance and value of truly eating well. There’s been the Buenos Aires Market, hosted one weekend a month for the last six months all over BA, which has been giving natural and organic producers a space to educate people via their food. And of course the classic, El Galpón, a farmer’s market in Chacarita that has been taking place every Wednesday and Saturday for the past several years. However, nothing of such magnitude has perhaps been organized in BA before such as the upcoming Feria Masticar. The Feria is organized by by ACELGA (acronym that also means “chard” in Spanish), a varied group of chefs that all believe in the power and future of Argentine cuisine, and as such have joined forces to bring about a series of common values and objectives to achieve their goals. 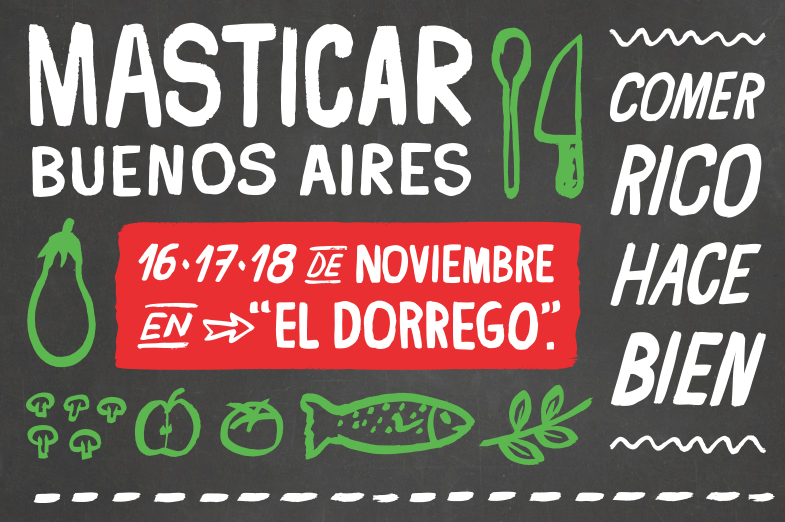 During November 16-18 at El Dorrego (the original Mercado de las Pulgas space on the edge of Palermo Hollywood/Colegiales) there will be a massive event – food stands, a market, wine tasting, and tons of different cooking classes/workshops hosted by the local greats (think Narda Lepes, Hernán Gipponi, Dolli Irigoyen, and more). 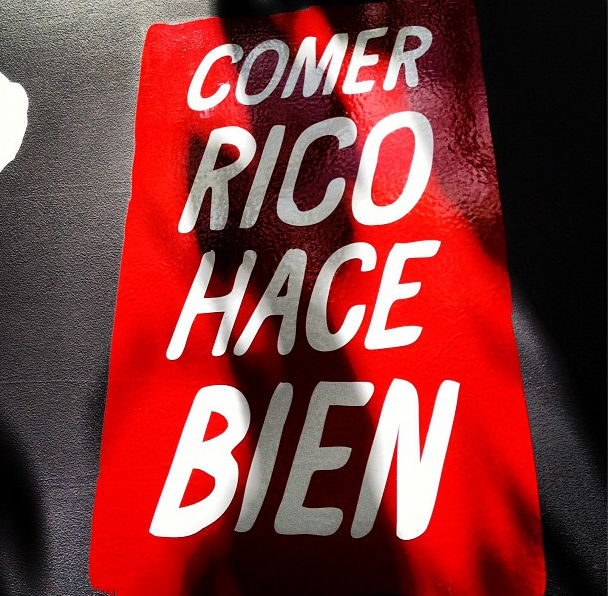 The Feria’s motto – Comer Rico Hace Bien – is simple and summarizes perfectly the mission of these chefs that have organized the whole thing. 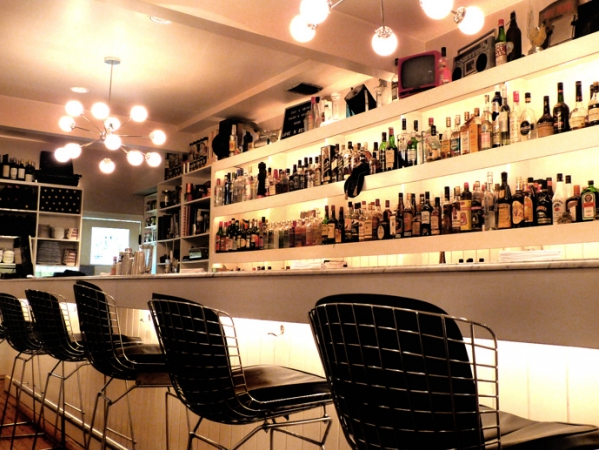 Its aim is to break down the walls, invite people in, and celebrate all that Argentina’s local cuisine has to offer. From learning about eating seasonally to mixing things up from the typical milanesa and fideos, Feria Masticar will be three days of pure foodgasms for everyone to enjoy. Don’t miss it! 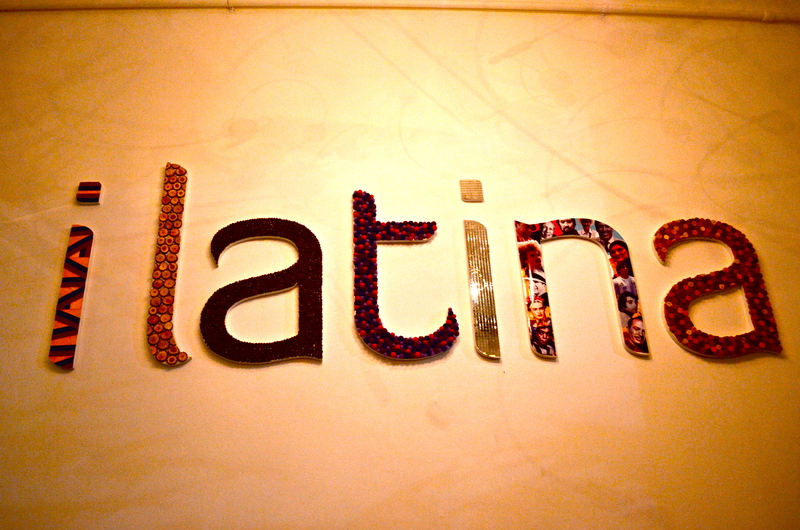 Here are some photos from the event launch in Casa Arévalo. Sorry this post is up late, folks. Didn’t seem to stop even for a minute today, let alone the rest of the week. Now all I want to do is kick back, pour myself a glass (goblet) of wine, and enjoy the weekend. As much as rant about Argentine cuisine at times, you gotta admit that sometimes there’s just nothing better than some fresh cheese and salty cured meats. Hipsters who live in Brooklyn call it charcuterie, but we all know that at the end of the day, it’s a fancy word for picada. The delicious, joy-inducing picada. 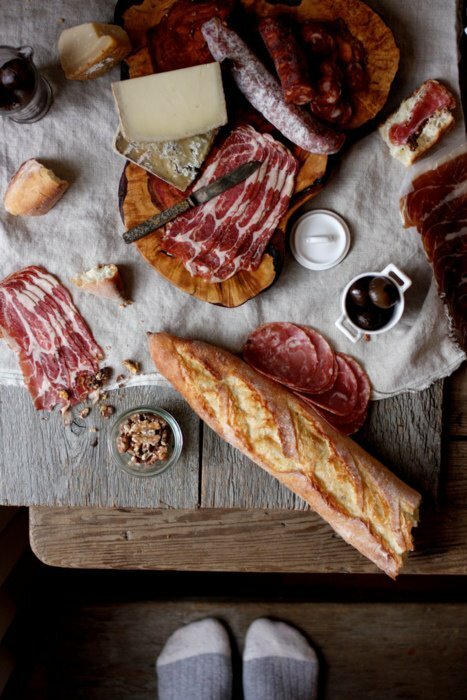 On that note, I might hop up to my terrace right now for a cocktail and some prosciutto … Have a great weekend! Of all the ethnic foods that I miss here in Buenos Aires, there is one cuisine that I often forget about – until a serious craving hits me. Ethiopian food definitely won’t win any contests for being photogenic, but it’s definitely one of my favorites due to its sheer flavor. 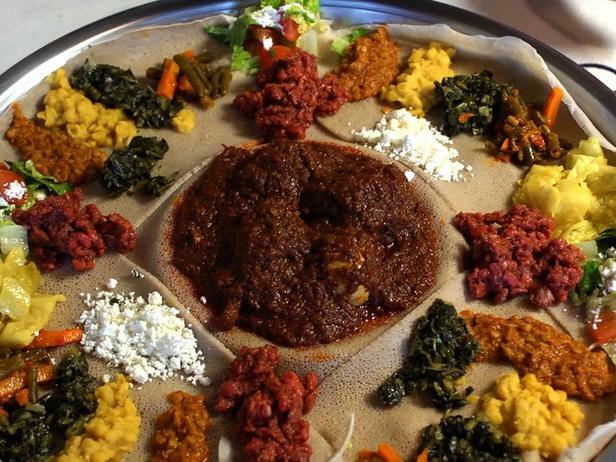 Living in DC, I was surrounded by tons of Ethiopian restaurants – from the seedy spots that line 18th street in Adams Morgan to the finer establishments such as Zed’s in Georgetown – and never realized how I took them for granted. I woke up this morning with a serious need for doro wat, chicken cooked in a deep red, smoky sauce and served with a couple of hard boiled eggs. It’s one of those dishes that I tried as a child and will never forget, for sure. So cozy up to some spongy injera bread have an excellent weekend! I haven’t given Planeta Joy much love lately. It’s a great website/magazine/community that covers trends and tips in the BA food/wine world, often compiling superlative lists that save you time and legwork if you’re tired of the trial & error aspect of the vast world of the Buenos Aires food scene. After what was one of the more stressful weeks of recent times, we’ve all made it to Friday. With yet another Feriado on Monday! Woo-hoo. Despite my exhaustion levels, I am feeling decidedly patriotic and very American – yesterday I voted at the US Embassy here in BA and was just awash in joy, surrounded by music, sunshine fellow citizens… and free burritos. It was awesome. 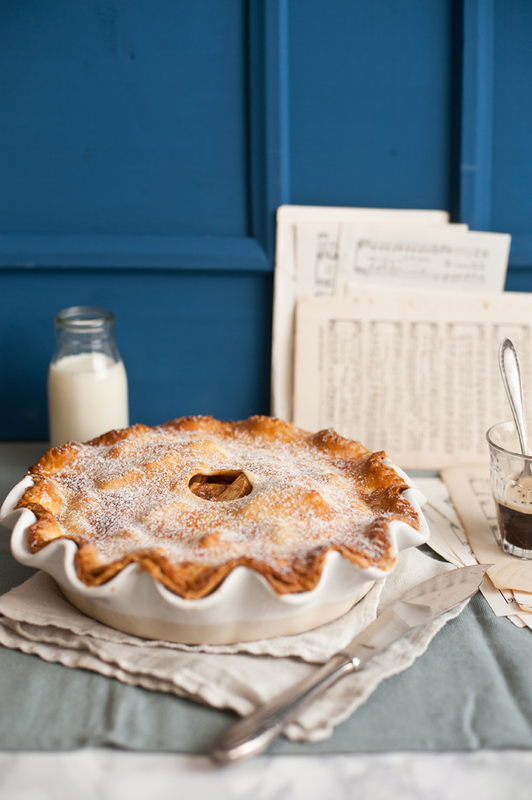 To cap off my swelling of national pride, I’m craving something as American as can be – apple pie. This one looks particularly delicious. Have a great weekend!